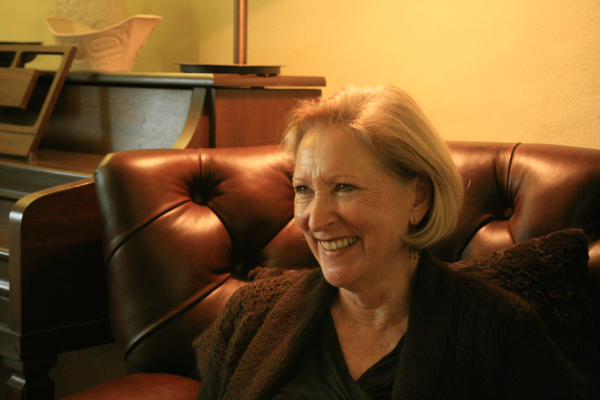 Carmel Macdonald Grahame is a Western Australian teacher and writer now living in Warrandyte, Victoria. Her short fiction, poetry, critical essays and reviews have been published in journals, periodicals and anthologies in Australia and in North America, and she has had three stage plays performed. Personal Effects is her debut novel. When did you first start writing? When did you decide that you wanted to ‘be a writer’? I started writing when I was a child, as so many of us do, in the sense that favourite schoolwork was always write a story about…, write a composition…, write the autobiography of a…, and so on. If ever I was sick as a child I would pass time by making up stories and writing them down, in block print, painstakingly, and inflicting them on my sister. I remember being told, when teachers left the room, to mind the class by telling a story until they got back. It seems absurd now, but obediently, I did just that, long rambling convoluted stories that always had to be continued because the teacher would reappear. I don’t think the idea of writing as being a writer crossed my mind until I was at university. I attended a lecture by Faye Zwicky in which she illustrated the slow growth of a poem and I saw a piece of writing take shape. It was that revelation of the constructedness of writing, its openness to being worked on that gave me permission to write. And my love of the process has developed over the years in several directions. But I have to say I only think of myself as being a writer in the sense that it is one of the things I like to do, but one of many, too many probably. I am a writer insofar as I spend some of my time engaged in writing, but I don’t see it as my identity, if you know what I mean; or even my occupation. Too many other considerations. Who would you say are your writing influences/inspirations? I’ve studied literature all my adult life one way and another. I find it really difficult to pin down any particular influence. I remember having my breath taken away when I first encountered Dorothy Hewett’s poetry, for that forceful woman’s voice, that willingness to write close to the bone, the willingness to be vulnerable. More recently I’ve found myself drawn to more intellectual voices, like the Canadian writer Anne Carson’s, whose creative work is rich with classical training and academic interests, dismantling those distinctions, who never flinches from allusive, highly wrought writing that makes demands on readers. Different from Australian writing with its drive towards the colloquial, at least insofar as one can generalise. We seem to have a tendency to confuse the poetic and the intellectual with some kind of pretension here, keeping many of our writers in the realm of the demotic. In fact several Canadian women writers spring to mind. Anne Michaels: who can not be nourished by the beauty of the language and the emotional fearlessness of a novel like Fugitive Pieces. Roo Borson, whose luminous poeticism sings on the page. Here, the work of Gail Jones springs to mind, that loveliness of language, its range and energy. The poetry of Robyn Rowlands is a force to be reckoned with — the first time I heard it read I thought it might be as close to a feminine voice as I’ve encountered. I think these choices belong in the context of complicated questions about whether we can distinguish between a feminine and a masculine voice. But anyway: not Hemingway, not that paucity of language that is disguised as clarity, or austerity or whatever. As a reader I love writing that risks being luscious, generous, ornate, thoughtful, contemplative. So I suppose as a writer I aspire to that and would like to think such voices have room to move. Personal Effects explores change and family life. What was the appeal of those themes for you? The themes of Personal Effects, if this is what they are, evolved in the writing. I think the theme uppermost in my mind, at least my sense of direction, was the contingent nature of life. Even the most contemporary life, with all the spring in its step, is full of the unpredictable, sudden change and loss, sometimes traumatic enduring loss. I was thinking about questions of isolation and resilience. I contextualised the events of this woman’s life within a family because I wanted a sense of ordinary experience to be and was hoping to capture some of the changes women contend with by being partners, mothers, how adaptive they have to be, how we live rather more perhaps in arabesques and curlicues, to quote Robert Dessaix. The recent history of women and work has been extraordinary if you look back over the last three decades, and all those changes— and failures to change— have been and still are played out in family life. You have taught writing for some years. Does teaching inform your writing, or vice versa? Teaching is its own reward really. There is no way you aren’t learning while you teach. And let’s face it, it’s a privilege to be a part of anyone’s writerly process/progress. It’s informing and nourishing to your own work just to be in that conversation so constantly and carefully. At the same time, I do think it’s possible that one’s own creative energy and attention can be consumed by the teaching and that the teaching can take the place of writing, as you turn your focus towards other people’s creative projects. I think it is one of the difficulties of teaching that this can happen. You have to be willing to work on balancing the two and it’s not always easy to do. The very idea of habitual writing is like a mirage most of the time. I strive to write every day, prefer mornings, as do most of us, but try to forgive myself when I don’t manage that and still work at other times of the day. I am often in the position of fitting writing time in around other interests, necessities, pleasures. I have a lovely writing space and I try to make withdrawing to it a kind of bedrock in the in-between times. When I can, I do. I have writer friends and occasionally go away with them for small retreat times when I get more done. I read. I indulge myself with notebooks. All the familiar processes. Really my writing interests are too diverse. As long as I am producing something I can be satisfied. Do you ever suffer from writer’s block? And if so, how do you overcome it? I don’t know that’s it’s actually ever been a block per se. Huge frustration sometimes. And honestly, for me as for so many others I am launched into creative thinking by walking and arranging for some solitude. I also find my writing is stimulated by revisiting old, unfinished work. Like picking up a conversation with an old friend, I find my thinking aligns with what’s on the page/screen and writing grows from writing. 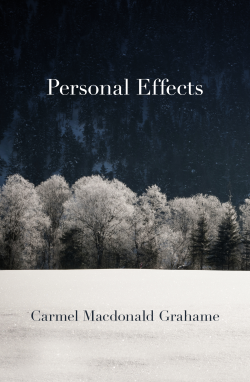 Personal Effects is now available through UWA Publishing.